Would you like your kitchen to be a fantastic painted kitchen? Would you like to avoid the disruption of having your existing kitchen taken out? Would you like your kitchen to have a hard wearing finish that is practical as well as beautiful? 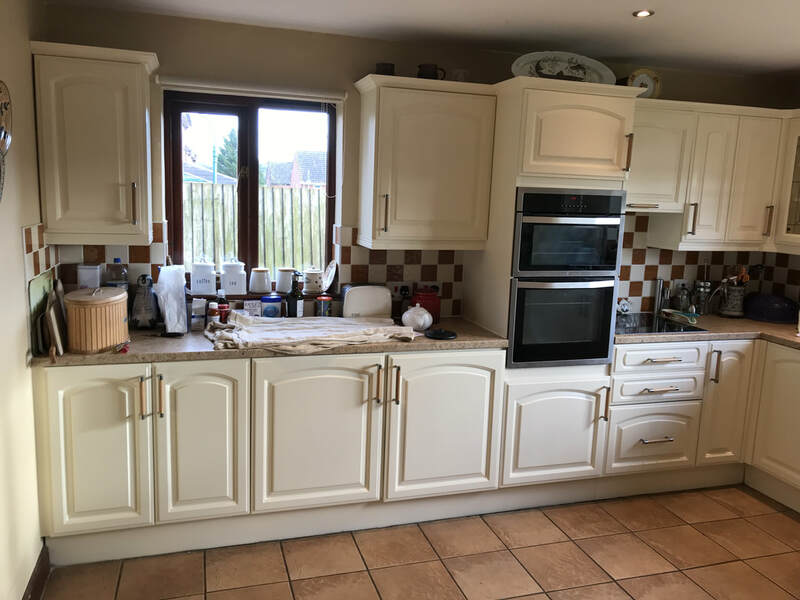 With our care and expertise we will transform your kitchen and it will become a stylish painted kitchen, but it will cost you a fraction of the price of a new kitchen and with hardly any disruption, you won't even need to empty your drawers or cupboards! ​You will have a fantastic hardwearing sprayed finish on your wooden or melamine kitchen doors and drawers and a matching handpainted finish on the rest of your kitchen. With your choice of any colour, you can have the look you have always wanted. For a free quotation why not Ask us what we can do for your kitchen. 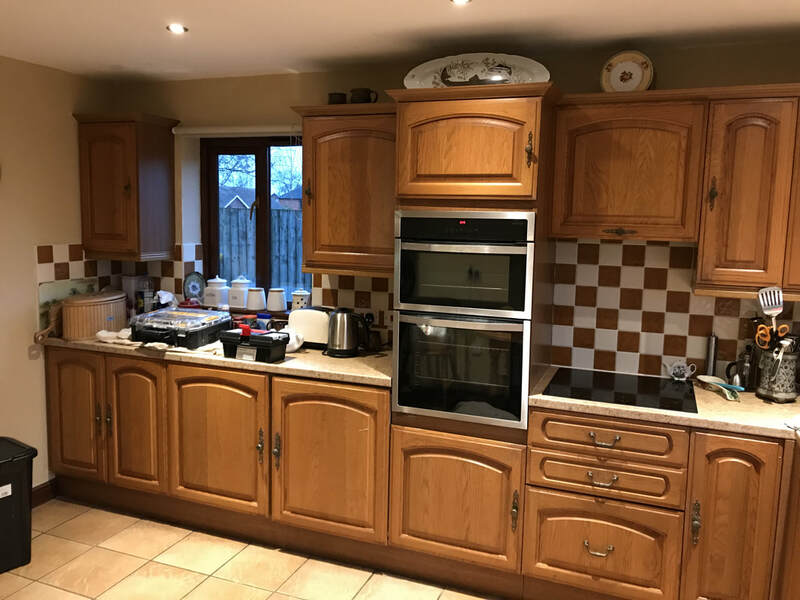 Every aspect of the process was perfect- from excellent communication at expression of interest, through to quotation and then a painless experience of transformation which has compactly changed the feel of our kitchen. Sally and Jen were fantastic.